Lenovo recently unveiled three new offerings – the IdeaPad U300s ultrabook and the Ideapad 300 and 400 notebooks. The Ideapad U300s is Lenovo’s first ultrabook offering and competes with the likes of Asus UX21, Acer Aspire S3, and the Toshiba Protégé Z830. Being an ultrabook, the IdeaPad U300s is slim at just 0.6 inches. The U300s is built from a single-piece aluminum shell to create a sleek and lightweight product weighing in at less than three pounds. This ultrabook features 2nd generation Intel Core processors with Intel Turbo Boost Technology 2.0. It boots up in 10 seconds with Enhanced Experience 2.0 RapidDrive SSD technology. The IdeaPad U300s has a 13.3-inch 16:9 widescreen HD display, 4GB DDR3 memory and up to 256GB of SSD storage. Other features include Bluetooth, high-speed 802.11n Wi-Fi, USB 2.0 and USB 3.0 connectors, and an integrated 1.3M (720p HD) webcam. The IdeaPad U300s also has HD graphics support, HDMI output, integrated stereo speakers with SRS Premium Surround Sound and Intel Wireless Display (WiDi) Technology. 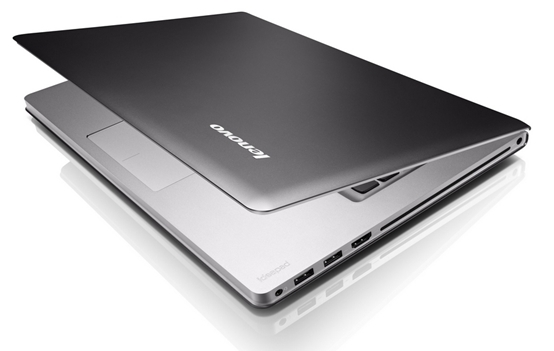 The IdeaPad U300s may be ultra-slim but Lenovo managed to sneak in up to eight hours of battery life. The IdeaPad U300 and U400 are also ultra slim notebooks that come with come with 2nd generation Intel Core processors and feature boot up times of under 17 seconds courtesy of its RapidDrive SSD technology. The U300 features a 13.3” HD display while the U400 has a 14” HD display and AMD Radeon HD5470M 1GB graphics. Memory can be as high as 8GB of the DDR3 type and up to 1TB HDD storage or up to 256GB SSD storage. The U400 also has an integrated slot-loading DVD-RW drive. Like the IdeaPad U330s, the IdeaPad U300 and IdeaPad U400 also feature HD graphics support, HDMI output, integrated stereo speakers with SRS Premium Surround Sound and Intel Wireless Display (WiDi) Technology. Battery life on the U300 lasts up to six hours of and up to seven hours on the U400. The Lenovo IdeaPad U300, U300s and U400 will be available starting October 2011. 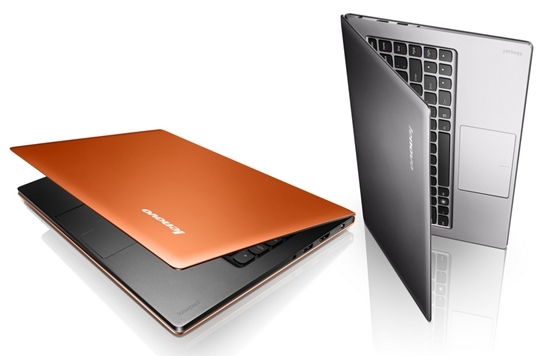 All three laptops are available in a cool Graphite Gray color, and the U300s also comes in Clementine Orange. Prices for these laptop are not yet available. They will be announced closer to the availability date. OMG, kelan to dadating? I’ve been saving for this!